A lunch box is ideal choice for hot or cold meals. 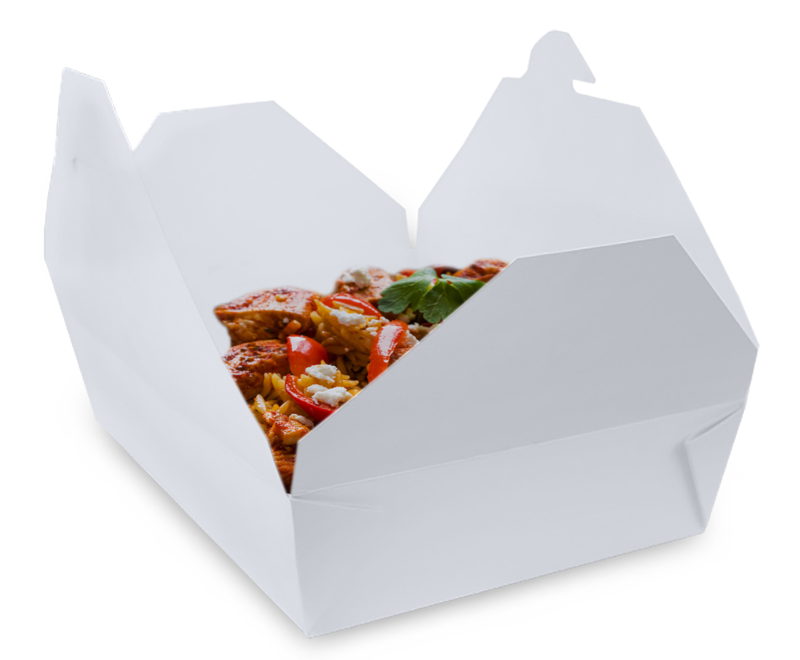 Thanks to its functional design, our boxes do not require additional assembling or lids. They are resistant to leaking, hold all sorts of food, gravies and cheeses. They are available in several sizes. Flaps open widely to allow free access to food. Lunch boxes are available in white or with our universal print. Also, they can be custom printed to include your logo and print. This is an excellent way to send your branding message to your customers. 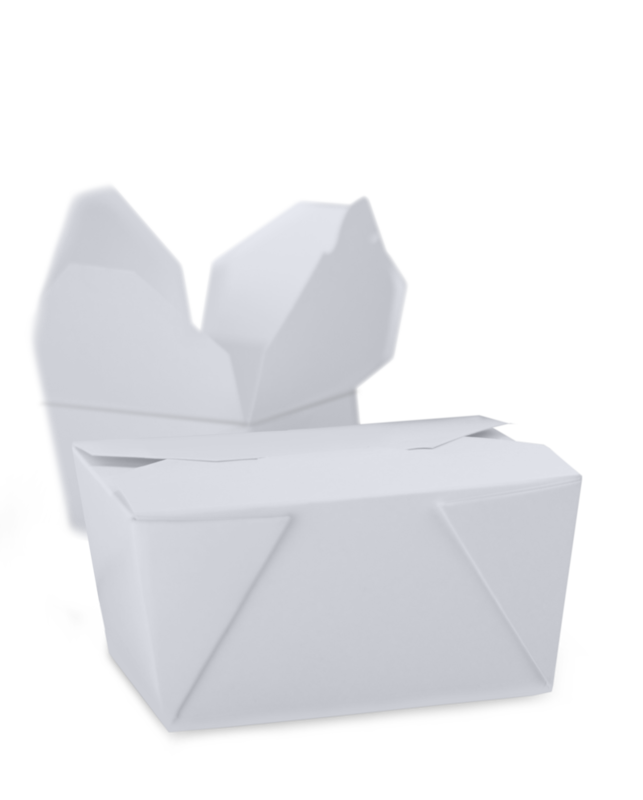 Regardless of a style you might choose, Lunch boxes provide the highest quality in food catering. They are resistant to leaking, grease, microwaves, they are easy to use. Lunch boxes keep food hot, cold, moist or dry. The most important thing, they will keep your food fresh for your customers. They are available in white. They can be custom printed to include your print and logo. A transport pack contains 200 pieces.